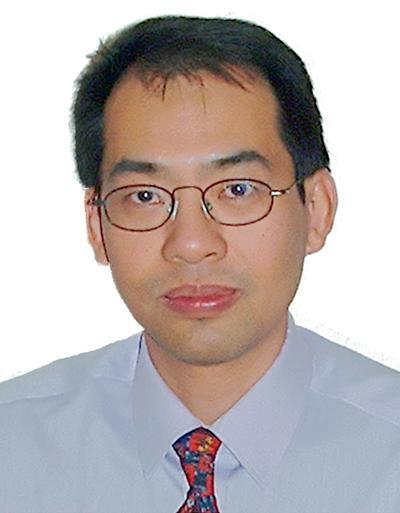 Professor Yifeng Yang is Professor of Cryogenics and Applied Superconductivity within Engineering and Physical Sciences at the University of Southampton. I am currently the director of Institute of Cryogenics, which was first established in the early 70s. I gained my BSc in Cryogenics and Low Temperature Physics from Zhejiang University in China 1985 and carried out my PhD research at University of Southampton between 1987 and 1990 with a full scholarship awarded by the Sino-British Friendship Scholarship Scheme. I returned to the Institute of Cryogenics as a lecturer 1995 and became a Professor in Cryogenics and Applied Superconductivity in 2004. I have been a member of the International Cryogenic Engineering Committee since 2006. Yang, Y., March, S. A., & Ballarino, A. (2009). Power switches utilizing superconducting material for accelerator magnets. IEEE Transactions on Applied Superconductivity, 19(2), 1182-1185. Huang, T., Martínez, E., Friend, C., & Yang, Y. (2008). Quench characteristics of HTS conductors at low temperatures. IEEE Transactions on Applied Superconductivity, 18(2), 1317-1320. Tundidor, J., Martinez, E., Beduz, C., Huang, Y., & Yang, Y. (2001). AC losses measurement of twisted multifilamentary Bi-2223 tapes with different configurations. IEEE Transactions on Applied Superconductivity, 11(1), p.2636. Yang, Y., Martínez, E., Beduz, C., & Huang, Y. (2001). Frequency dependence of AC losses of AgAu/PbBi-2223 tapes with twisted filaments under perpendicular AC fields. IEEE Transactions on Applied Superconductivity, 11(1), 2636. Cini, L., Bailey, W. O. S., Yang, Y., & Mackenzie, J. I. (Accepted/In press). Temperature-dependent analytical thermal model for end-pumped solid-state lasers. Poster session presented at OSA Laser Congress, Nagoya, Japan. Kim, J. W., Mackenzie, J. I., Bailey, W. O. S., Pearson, L., Shen, D. Y., Yang, Y., & Clarkson, W. A. (2009). Cryogenically-cooled Ho:YAG laser in-band pumped by a Tm fibre laser. Paper presented at European Conference on Lasers and Electro-Optics (CLEO/Europe-EQEC), Munich, Germany. Mackenzie, J. I., Kim, J. W., Pearson, L., Bailey, W. O. S., Yang, Y., & Clarkson, W. A. (2009). Cryogenically-cooled two-micron solid-state lasers: recent results and future prospects. Paper presented at 5th International Symposium on Laser, Scintillator and Non Linear Optical Materials (ISLNOM-5), . Bianchetti, M., Al-Mosawi, M. K., Yang, Y., Beduz, C., & Guinchi, G. (2005). A closed neon liquefier system for testing superconducting devices. 1-4. Paper presented at Cryogenic Engineering Conference and the International Cryogenic Materials Conference, . Al-Mosawi, M. K., Xu, B., Beduz, C., Yang, Y., & Stephen, N. G. (2005). Mechanism of improvement in bending strain tolerance for reinforced Bi2223 superconducting tapes. 1-4. Paper presented at EUCAS 2005: European Conference on Applications of Superconductivity, . Xu, B., Al-Mosawi, M. K., Yang, Y., & Beduz, C. (2004). Fabrication and characterization of Bi-2223 coils for generator applications. In Proceedings of the twentieth international cryogenic engineering conference (ICEC20) Elsevier. Al-Mosawi, M. K., Xu, B., Beduz, C., Goddard, K., Sykulski, J. K., Yang, Y., ... Stoll, R. (2003). Recent progress of 100kVA high temperature superconducting generator. Paper presented at Proceedings of 6th European Conference on Applied Superconductivity EUCAS 2003, . Dudley, R. A., Young, E. A., & Yang, Y. (2003). The dependence of bend strain tolerance in Bi-2223 and Bi-2212 multifilamentary tapes on the measurement temperature. Paper presented at 6th European Conference on Applied Superconductivity (EUCAS 2003), . Al-Mosawi, M. K., Xu, B., Beduz, C., Goddard, K., Sykulski, J. K., Yang, Y., ... Stoll, R. (2002). 100kVa High Temperature Superconducting Generator. In Proceedings of 19th International Cryogenic Engineering Conference (ICEC19) (pp. 237-240). International Cryogenic Engineering Conference. Young, E. A., Yang, Y., Huang, Y. B., Jutson, J., Riddle, R., & Beduz, C. (1999). Secondary Dwell and Slow Cooling in Ag/BiPb2223 Tapes. In Applied Superconductivity 1999. Proceedings of EUCAS 1999, the Fourth European Conference on Applied Superconductivity (pp. 631-634). (Institute of Physics Conference Series; No. 1942). Bristol, UK: Institute of Physics. Al-Mosawi, M. K., Spiller, D. M., Beduz, C., Yang, Y., & Ogborne, D. (1995). Preparation and characterisation of Tl(2223) superconducting tapes. Poster session presented at Materials Research Society 1995 Spring Meeting, . Al-Mosawi, M. K., Spiller, D. M., Beduz, C., & Ogborne, D. M. (1995). Preparation and characterisation of TL2Ba2Ca2Cu3Oy Superconducting Tapes. In Applied Superconductivity 1995. Proceedings of EUCAS 1995, the Second European Conference on Applied Superconductivity (pp. 491-494). (Institute of Physics Conference series). Bristol, UK: Institute of Physics. Spiller, D. M., Al-Mosawi, M. K., Yang, Y., Beduz, C., & Riddle, R. (1995). The effect of heating rate on the 2223 phase formation and core morphology of (Pb,Bi)2223 superconducting tapes. In Applied Superconductivity 1995. Proceedings of EUCAS 1995, the Second European Conference on Applied Superconductivity (pp. 387-390). (Institute of Physics Conference series). Edinburgh, UK: Institute of Physics.